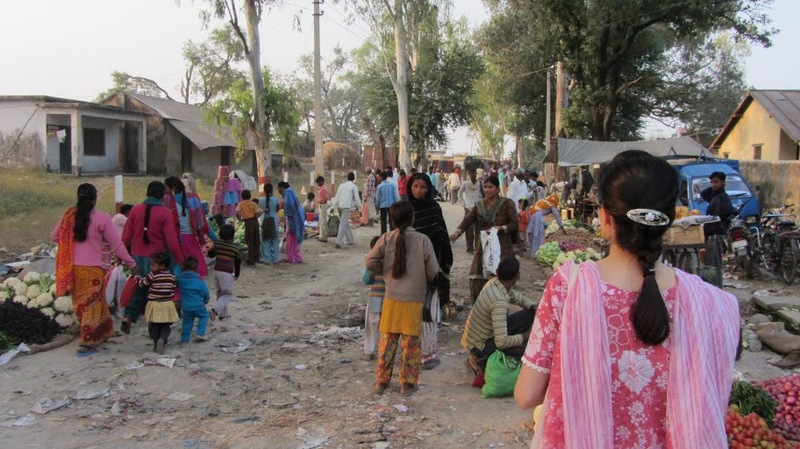 The Chaos That Is India | Where Is Annie? We arrived in India a year ago now. Our visit there had a huge impact on all of us. We had a lot of great experiences there. Diwali and the jagran, ashrams and Kathakali. We made friends at the orphanage and body surfed in the Indian ocean. But it was a difficult place to visit. It was draining. 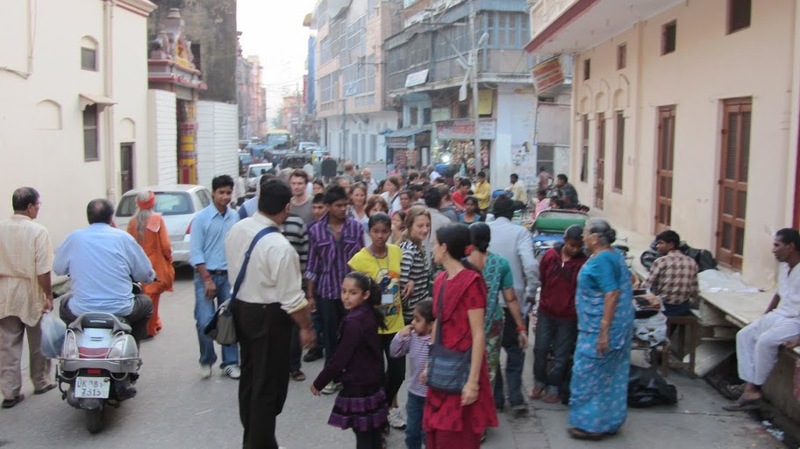 We were often overwhelmed Most of our time was spent in the north between our month volunteering at the orphanage in Haridwar and a couple of weeks in Rajasthan as tourists. We did get down to the southwestern state of Kerala to enjoy the warmth of the tropics, but most of our impressions come from the north. I recognize that my view is limited, therefore. 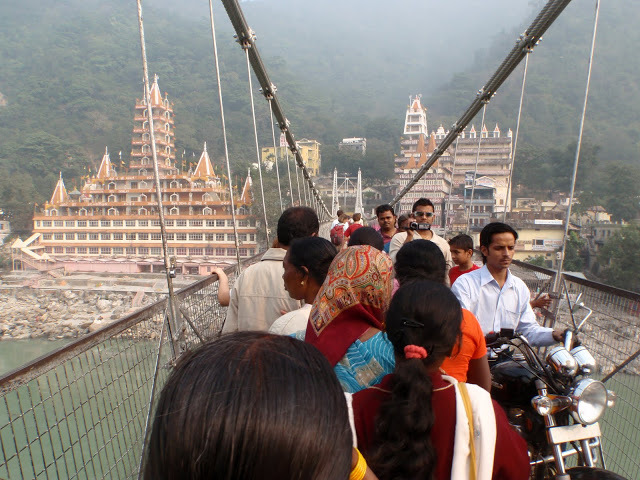 India is a huge, diverse country, and in two months we barely scratched its surface. My feelings about India are also colored by the countries we visited before and after India, specifically Kenya and Thailand. It turns out, in travel as in life, everything is relative and is colored by previous experiences and current expectations. We had no idea what India had in store for us. I don’t know that’s it’s possible to be prepared for the experience of India. What follows are some of the things that made India an exhausting, overwhelming, sometimes brutal place to visit. Too many people: This is the biggie. 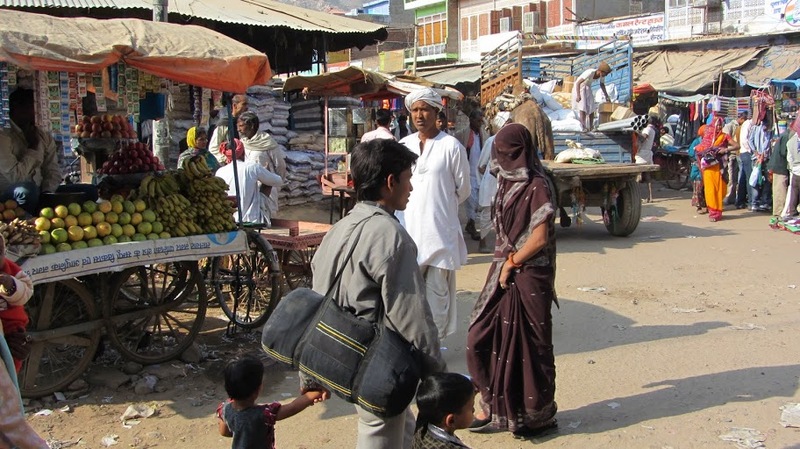 It is estimated that India has over 1.2 billion people, maybe even as many as 1.4 billion. There can be no way to get an accurate census. The population is still growing. If it continues to grow it will have more people than China in 2025. There are no wide open spaces. 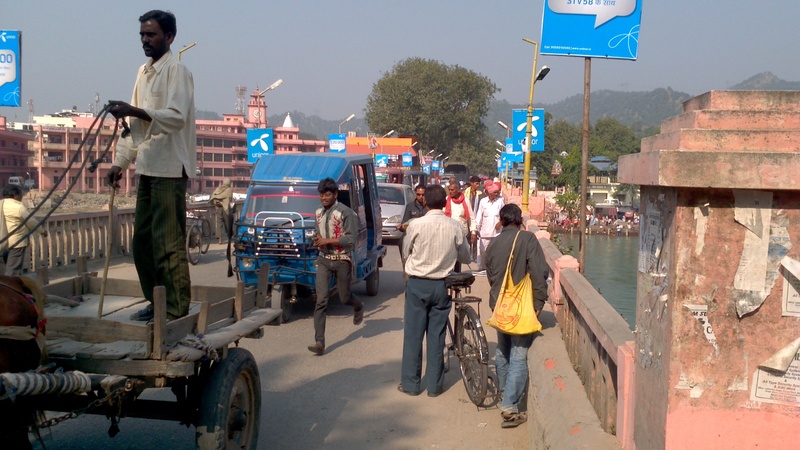 When we drove from Delhi to Haridwar there was never a break in the pedestrians or bicycles or oxcarts on the side of the road. I think this is the number one cause for all the of the other difficulties below. Air Pollution: When we got out of the Delhi airport on the first day we were greeted by a dull brown haze. We expected that. What we didn’t expect is on one return flight to be greeted by that haze inside the airport. 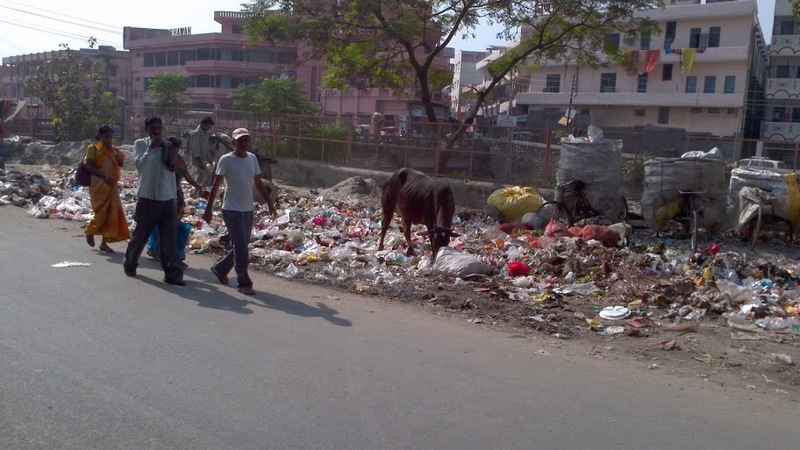 Haridwar was also polluted. 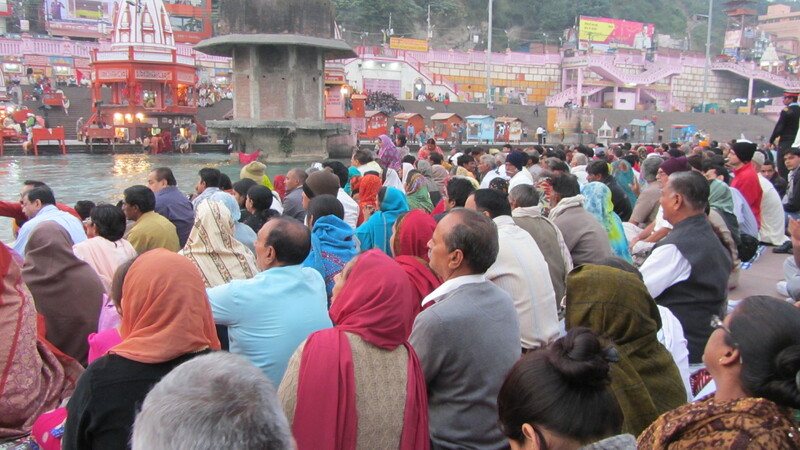 During our visit, there was a mela celebrating some guru’s 100th birthday. Over half a million people visited during a one week period. They cooked with fire and worshiped with fire. Smoke filled the air. The sky went from a light brown to a deep sienna with midday sunlight barely filtering through. 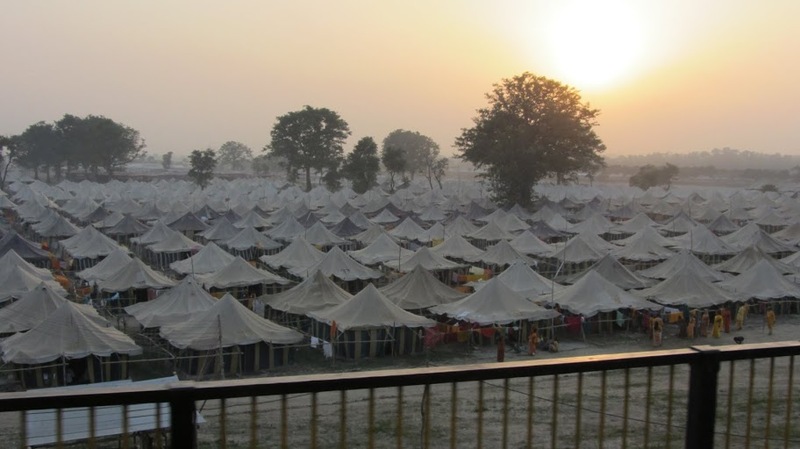 The mela was shut down when seven people died in the crush of a stampede. As the makeshift city was dismantled the smoke began to lift. But the sky never became clear. Throughout all of India, the only place we found clean air was on the beaches of Kerala where fewer people lived and there was an onshore breeze. Trash: It was everywhere. My daughter, when searching for a trash can, was told by her friend from the ashram to throw it on the ground. “Do not litter” was not an ethic we saw observed. There were no litter bins. There were very few recycling programs except for dumpster diving. So the trash piled up. It piled up on the sides of the streets where pigs and cows buried their snouts deep inside looking for something edible. What didn’t get eaten got burned. This added to the haze of smoke. Trash burning has a particular smell. It was nasty but not uncommon in many of the countries we visited last year. In India it was pervasive. Dust: It was everywhere. 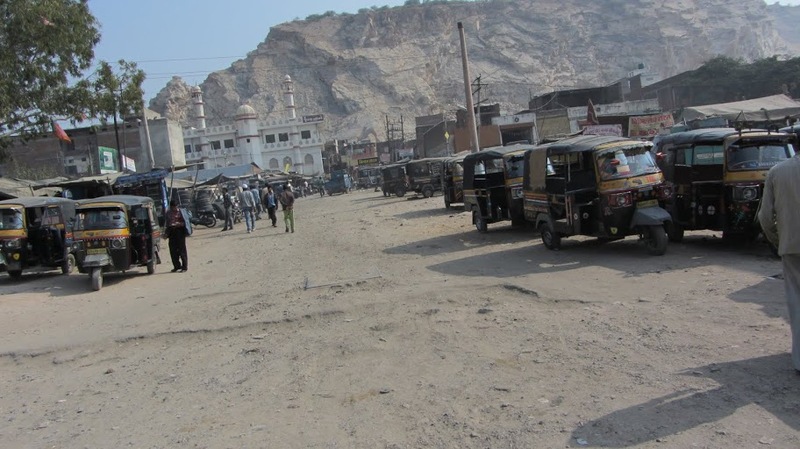 It was on the roads, the cars, the furniture, the floors, the temples, and the people. It got kicked up by all the people and the buffalos and the cars, and it seldom got wiped away. The layer of dirt was like a veil over the statues of the gods, obscuring the glory of their paint or layer gold leaf. Filth: Open sewers were common throughout the developing world. We knew people squatted on train tracks, in the fields, by the side of the road in other countries, but with the sheer number of people in India no one tried to hide when relieving himself. I couldn’t look away when a woman just 10 feet away from me squatted in her skirts over the train tracks. She left a large pool of urine in the dirt as she stood up and walked away. Traffic: I’ve already discussed this at length in my last post. Driving in most of the developing world is crazy and chaotic. What made India different was, again, the sheer number of people. 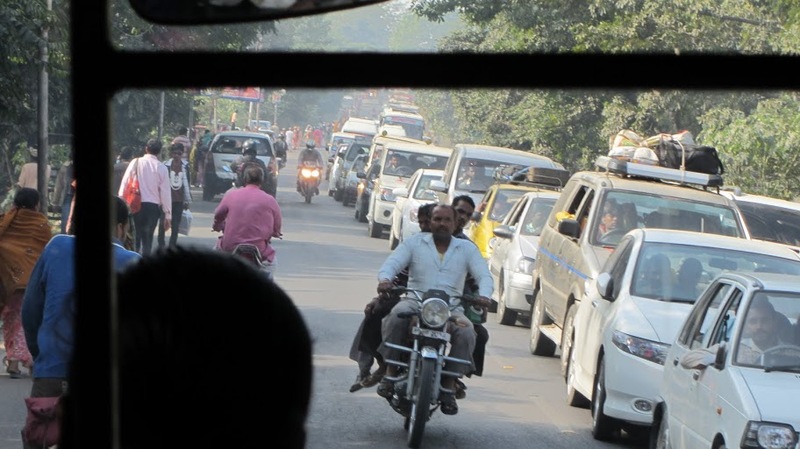 In India the driver had to avoid not just cars but pedestrians, bicycles, rickshaws, and oxcarts in such numbers they filled the roads. There was no patience for waiting. During a traffic jam, cars began to drive past in the oncoming lane. This meant that the oncoming traffic also had to stop. The cars in the other direction tried to drive in the oncoming lane. It became a form of gridlock so that no one could move. At railroad crossings, after the gate was lowered, cars filled the oncoming lane. When the train passed and the gate was raised there were cars and motorcycles and buses facing each other without a path for driving onward. There were no stop signs and few traffic signals. I don’t know how we survived this. We even got used to it to a degree, but we spent energy being on guard without even recognizing it. Eve-teasing: Here expectations colored my experience. Nothing ever happened to us. 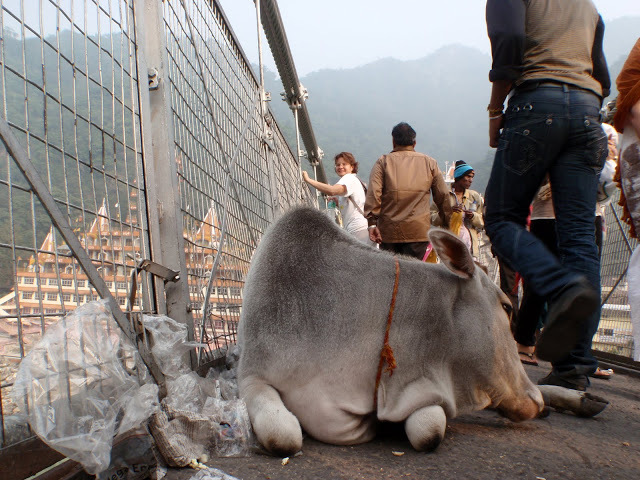 But I had heard so many stories from female tourists and Indian women of being squeezed, poked, or fully assaulted. I was always on guard against prodding and groping by strange men or, worse, groups of men. Especially with my daughter at my side. One day in a crowded rickshaw a drunk (quite an uncommon thing in the holy city of Haridwar) climbed on board. He sat on the floor at Cat’s feet. He leaned toward her knees reeking of liquor and body odor. I leaned over her lap glaring at him. Cat was just too young to have to deal with harassment. I was too old to let it happen. Food poisoning: The food was wonderful; it was, in fact, delicious. Paneer, masala, puris, and samosas. Who wouldn’t love it? But it was always overcooked. It has to be. It’s unsafe to eat it any other way. 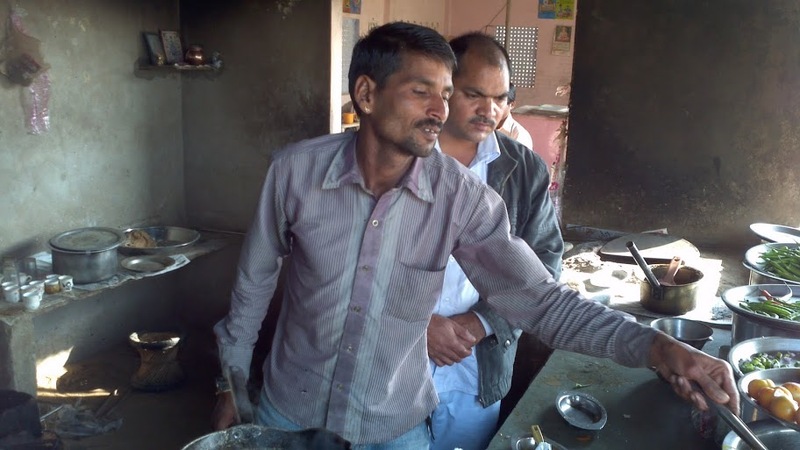 By overcooking the food, the Indians are assured that all the pathogens are dead. It gets tiresome, though. Salads start having a certain lure. We risked it one day because we just wanted to eat a vegetable we could recognize. We ordered “Mexican” food, and we ate the raw cabbage. Eight of us got violently sick 30 hours later. As a doctor I was fascinated by the pathophysiology. As a patient I was in pain. Being ever so cautious about what we ate was exhausting. It was so tiring we weren’t always vigilant. 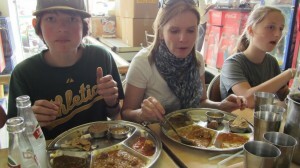 And besides that, for our family, a major reason to travel is to eat and experience the local cuisine. We each got sick again. Luckily after the first time we weren’t ever all sick at the same time. Rabid animals: We never saw any, but like all the Indians, we were always on guard. 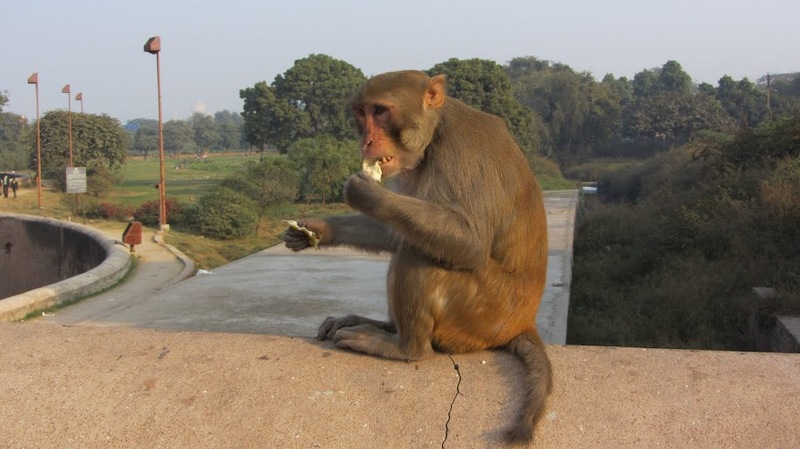 “Don’t look the monkeys in the eyes.” “Don’t approach and don’t pet the dogs.” Our friend had been attacked by a group of monkeys at the Delhi train station; she had two wounds from two separate monkeys and needed rabies shots. Her story was terrifying. 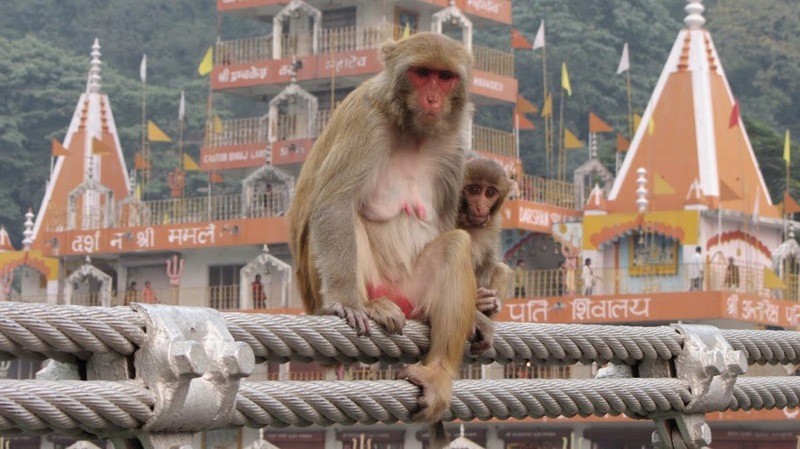 When we went up on the roof of the ashram to hang laundry, we had to always watch out for monkeys. Cat once discovered herself up there alone with one. She came down shaken by the experience. The ashram kept dogs to keep away the monkeys. The kids at the orphanage were scared of dogs but more scared of monkeys. Cat fed her need to play with animals and played with the dogs at the ashram. She avoided the dogs on the street. Stares: I’m a happy person. I laugh a lot. I smile often. Kenya was an easy place for me. Everyone smiled back. But not in India. 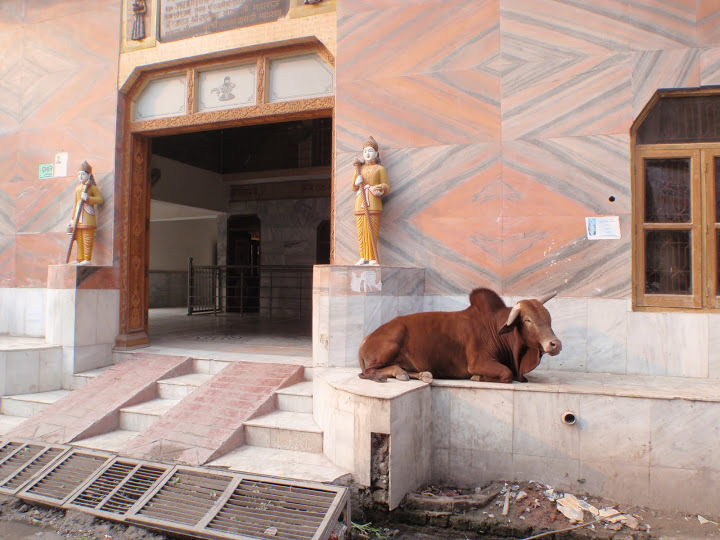 As I walked to the Ganges in the morning, everyone just stared at me. A few nodded and responded with a “namaste” when I greeted them. Very few ever smiled. Maybe it was inappropriate of me, as a woman, to be walking alone. Maybe I attracted stares. But the stares without smiles were common in town with Bill at my side. At the ashram I ran across a book by Amartya Sen entitled The Argumentative Indian. Sen proposes that there is a culture of skepticism in India. Maybe skeptics don’t give up smiles as easily as those of us who are naïve. Life is hard in India. There are so many people to compete with for such limited resources. Innocence is lost early in the competition. Maybe this is why the smiles are slower to come. I don’t thrive without a lot of smiles. This was the thing that made all the chaos I’ve described so difficult. Chaos can be fun; it can be something to revel in, something to laugh at. But I needed the people around me to laugh, too. 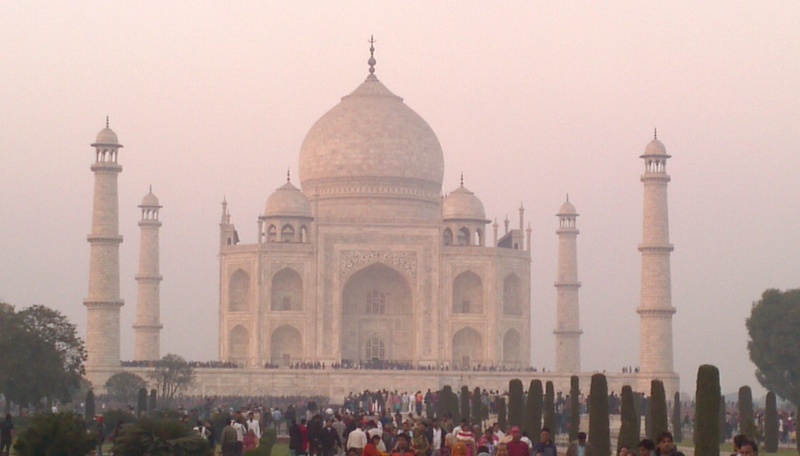 I could have easily stayed longer in India, but once we left I didn’t know if I could ever return. I was seriously wrung out by the experience. 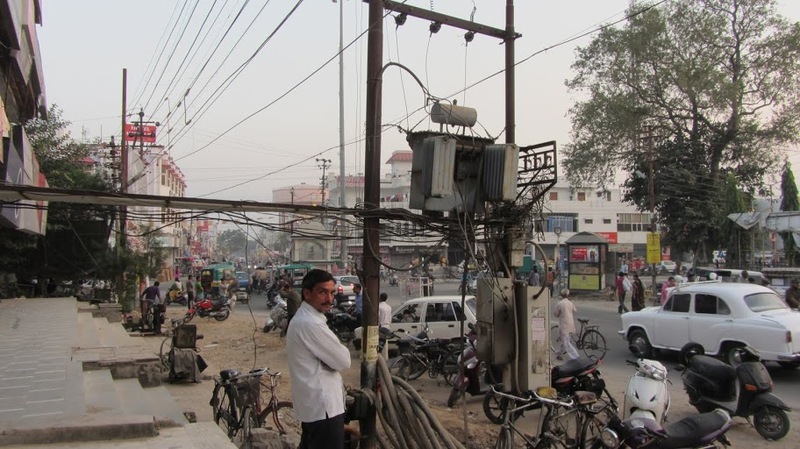 It was only after leaving India that we started recognizing just how much work it was to visit the place. 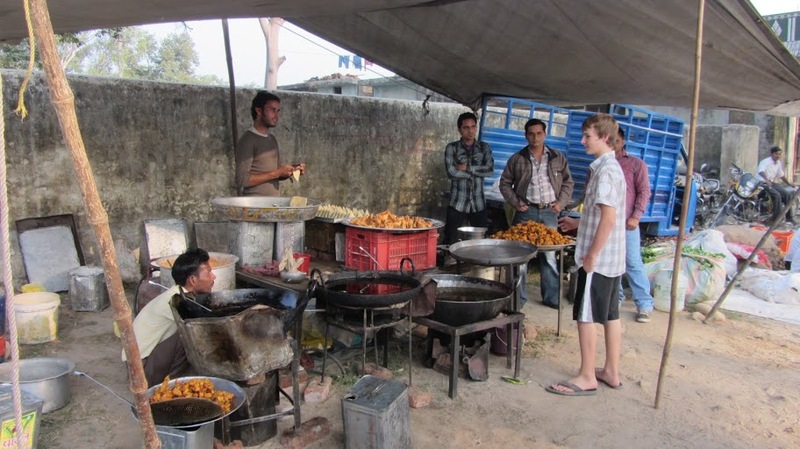 We talked about India constantly for weeks afterward, trying to process what we had seen and heard, tasted and felt. Much of what I wrote above I wrote shortly after leaving the country. Now, a year later, I’m nostalgic about the country, even curious. I want to try to visit it with a different perspective, a more knowledgeable, less naïve perspective. There is so much to see and learn. The country has so much to offer: history, culture, food. I want to visit the friends we made who helped us have amazing, fun experiences. I learned a lot and made good friends. It was a good place to visit. But it was rarely ever easy. Wow Annie! I started to read and did not stop until I got to the very end!Once again I love the way you write, in that I could almost picture your descriptions, through your eyes. Thank you for sharing your experience. As an Indian who has never set foot on the “Motherland” I love hearing the contrasting views of friends and family who have visited India. Maybe someday I will visit and experience it all firsthand.